Siem Reap Tours – Welcome to Siem Reap, a popular resort town, and a gateway to the Angkor Wat ruins. It is the capital city of Siem Reap Province in northwestern Cambodia. With its adjacency to the vast and complex temples of Angkor Wat, and it’s tourist attractions, the peaceful riverside town, Siem Reap, is not to be missed. 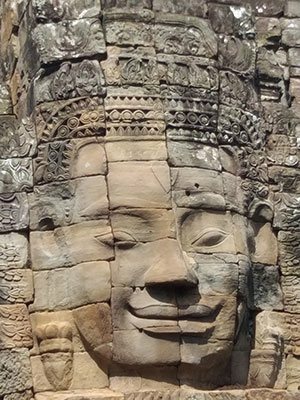 The name Siem Reap means ‘Siam Defeated’, a reminder of the conflict between the Khmer and the Siamese. As days passing by, the place has become one of the peaceful towns in Cambodia. 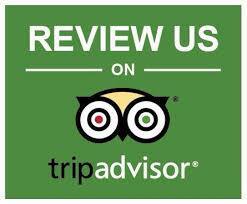 It is the best place to stay while touring the ruins of Angkor Wat. Since Siem Reap is a prime tourist destination in Cambodia, a gateway to the complex Angkor Wat temple, the prices in the town are higher compared to other towns in Cambodia. But, the food everywhere in the town is delicious and cheap. Being a popular tourist destination, it has a large number of businesses related to tourism, restaurants, hotels, and resorts to comfort the tourists from all over the world. It is the best place in Cambodia to enjoy the amenities of modern services and entertainment. The tourist attractions in and around Siem Reap are Angkor Wat, Angkor Thom, Angkor National Museum, The Cambodia Landmine Museum and Relief Centre, War Museum Cambodia, Phnom Kulen, Tonle Sap, Three floating villages – Kompong Khleang, Kompong Phluk, Chong Kneas, Phnom Dei, and Banteay Srei. Are you tired of searching for the best Siem Reap Tour Guide for you? If yes, you are in the right place now. We are the locals of Cambodia, have been organizing Siem Reap Tours successfully for many years. We have been working as professional tour guides in Siem Reap, Cambodia for many years. Besides showing you the popular tourist destinations, we also take you to some of the unpopular yet beautiful places, which most of the tourists not known in and around Siem Reap. We know the best timings to visit all the beautiful places so that you can avoid too much crowd over there. We, the best Siem Reap Tour Guides, give you thorough and detailed information about the history, arts, cultures, traditions, architecture of ancient temples and other tourist attractions in Siem Reap, Cambodia. With the help of our quality services and the best Siem Reap Tour Guides, we have achieved stupendous growth in the tourism sector in Siem Reap, Cambodia, we have great recognition as a customer friendly Siem Reap Tours organizer in our clients as well as in Siem Reap province. 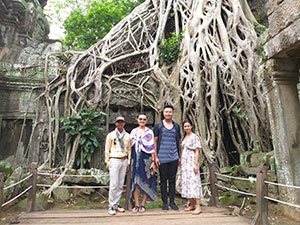 We designed best Siem Reap Tour Packages for our customers so that they experience history, lifestyle, cultures, traditions, and beautiful places in Cambodia at an affordable cost. Our tour guide will meet you at the hotel lobby so we will depart at 8:00 am to adventure the sightseeing places in Angkor. You will enjoy your holiday in Cambodia to see what you have never seen it before. Especially, Khal Spean, Banteay Srei and Preah Khan. Kbal Spean is consecrated a golden Linga here in 1059 AD. It is believed that the Siem Reap River flowing into Angkor is blessed by the sacred Lingas over which it flows. Continue to Banteay Srei (Citadel of ladies) is the pink stone, with the beautiful intricate carving and it is considered to be the Khmer treasure art. En route to this temple, you will also see real Cambodian life in the countryside, with rice paddy fields. We will carry onto Preah Khan temple, built in the 12th century for King Jayavarman VII to honour his father.